Though this past year brought a surge of Ebola cases in West Africa, Niger has been spared from the unforgiving virus. Cases have been reported across the border in Mali and Nigeria, but so far Niger remains clear. That doesn’t mean all is well, however. Cholera remains a critically dangerous threat to Niger’s cities, particularly as refugees flock from other countries and settle in overcrowded camps. Organizations like Medecins Sans Frontiers continue to provide valuable relief in areas afflicted by this disease. Please help support MSF and other organizations battling these persistent threats to everyday life. The people of southeastern Niger have opened their homes, schools, and hospitals to thousands of refugees fleeing attacks by Boko Haram in northeastern Nigeria. Deadly attacks carried out in northeastern Nigeria by Islamic extremists known as the Boko Haram have created an urgent humanitarian crisis in eastern Niger. Since 2013, more than 115,000 refugees have fled from Nigeria seeking shelter in Niger. More than 10,000 arrived in Niger between Nov. 24 and Nov. 26, 2014. The need for medicines is desperate and has been exacerbated by an outbreak of cholera among the refugees and the local population. A MAP International container of medicines and supplies worth U.S. $1,600,000, including over U.S. $1,000,000 in antibiotics, sponsored by International Relief Teams (IRT), is being shipped to eastern Niger, but Kirker African Medical Relief Association (KAMRA) has to raise $10,000 in transport costs. To do this, the KAMRA is launching the “Medicines for the Most in Need” campaign. A $10 contribution will deliver over $1,000 in antibiotics and $600 in other medicines and supplies. 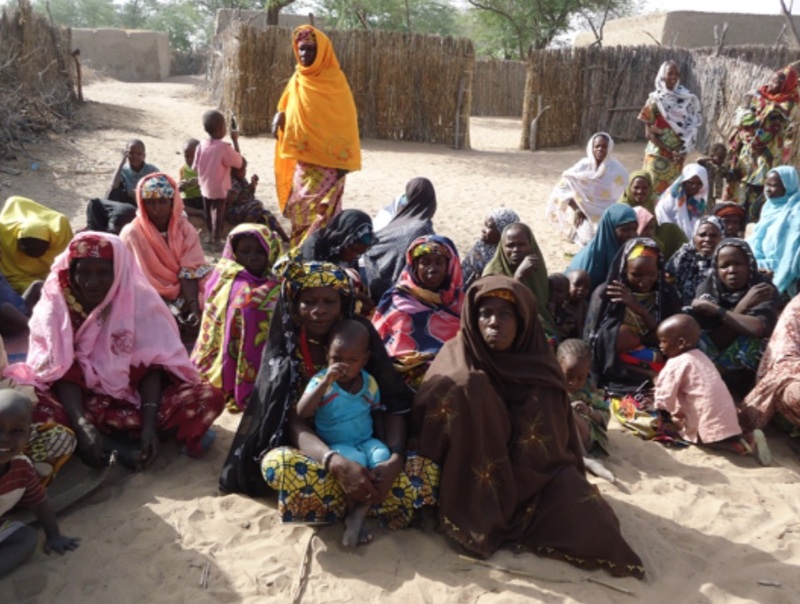 The towns of Maine-Soroa, Diffa, Bosso and N’guigmi have noted a significant flow of refugees, including women and children due to recent attacks on the Nigerian towns Damasak, Damaturu, and Gaidam, all located less than 40 miles from the border with Niger. More refugees continue to arrive following the attack in Gaidam, a town located at about 20 miles from Maine Soroa on Sunday December 21. Among the recent flow of refugees, there are mainly children separated from their families, women vainly searching for their children, and teenage young men who fear being forced to enroll by the islamist group. The situation in the Diffa region is exacerbated by cholera epidemics. Health authorities in the region are currently struggling to control an outbreak that has spread from Nigeria, aggravated by insecurity and waves of refugees. An acute diarrhoeal illness caused by a bacteria that can cause rapid dehydration and death, cholera frequently spreads through the ingestion of water and food contaminated by human feces. The situation is getting more and more complicated, as the number of people infected is likely to be much higher than reported. Cholera has killed about 50 of the more than 1,350 infected late last year in southern Niger. The MAP shipment contains antibiotics, as well as vitamins, anti-anemia, cardiac drugs and various supplies. These medicines will be placed in the region’s main hospitals as well as smaller health centers to treat local population and refugees free of charge. Nearly all refugee women, and children have not seen a doctor in months due to the insecurity, and in many cases their health centers in Nigeria being burnt down. Health institutions to benefit from shipment include the regional Hospital of Diffa, the District Hospital of N’guigmi, and the Kirker Hospital of Maine Soroa. The Kirker Hospital has a capacity of 164 beds. It now sees an average of 200 patients per day, representing more than 25% increase compared to previous months. 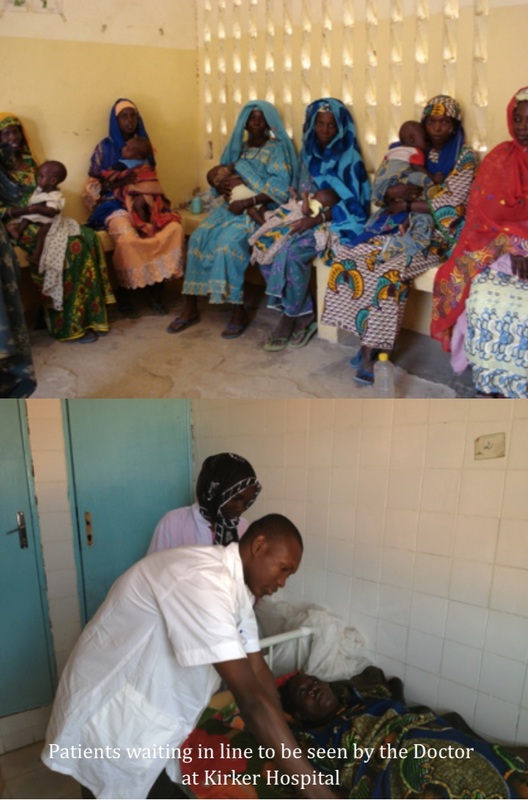 Entirely run by Nigerien personnel, the Kirker Hospital has been supported by KAMRA for the past 8 years. It has an admission/observation ward, a maternity/delivery ward, a surgical ward, a laboratory, an X ray section, and a med-peds- malnutrition ward. It has a staff of 130 people including 1 general physician, 1 surgeon, 1 nurse surgery assistant, 1 nurse anesthetist, 1 nurse eye specialist,4 lab technicians, 22 nurses and over 100 non professional support staff.